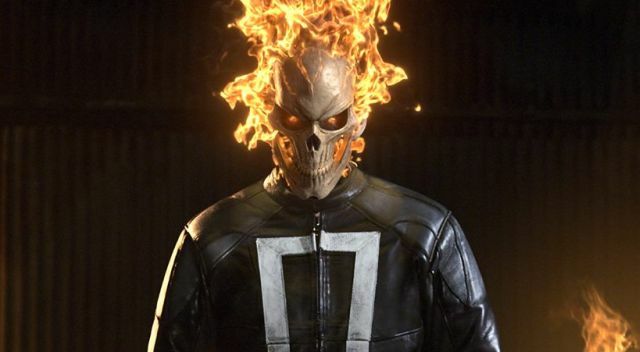 Ghost Rider is one of the most liked characters of Marvel’s comic book universe, however, it has not made its way to TV until this year. Marvel’s Agents of S.H.I.E.L.D. premiered with its fourth season which also featured Gabriel Luna as the Ghost Rider for the first time. They opted to feature a less known version of Ghost Rider since they had to integrate him to the storyline of Agents of S.H.I.E.L.D. As of now, we saw Robbie Reyes in 6 episodes and it has been a lot of fun. In fact, Gabriel Luna did so well with Robbie Reyes’ character that many people started suggesting that he deserved his own show, preferably not on ABC, that is. Turns out, Marvel is way ahead of us as they are already in discussions for such TV series. Luna does not necessarily care how or where he gets to be Ghost Rider, but makes it sound as though the possibilities are endless: Gabriel Luna just spoke to Comic Book about his future appearances on TV or big screen and stated that he does not care if it is TV or cinema. I don’t have a preference. People talk about ‘Ah man he’d be great as a feature,’ which is [an] idea too… It could be in the cinema, it could live on Netflix, whatever it is. It’s been talked about, there’s definitely deals in place for that potential. But I just take it one day at a time. I have so much fun now I just want to make sure I get these episodes right. If they throw more episodes on my plate, I will do my best to do well with those stories as well.